Of all the professions in all the world, why bartending/bar ownership? I’m from Hawaii, hospitality is in our DNA. My first real job was as a cocktail waitress in a bar in Waikiki. I was around 18 at the time and all the girls worked on the floor while the men worked behind the bar. It was pretty much the same when I got my first job in a cocktail bar in Florida. It was called The Pub and served beers and shots – I was intrigued by it all from the start. When did you realise it was what you wanted to do? After graduating from college I moved to San Francisco and found the Red Room. That place completely changed my life. Here was a fierce and amazing team of females working behind the bar. Not only did they look fantastic but they were making classic cocktails and using fresh, seasonal juices – no-one else was doing this at the time, the normal thing was mixes and juices from the gun. I met so many fantastic people there, including my now wife and Michell Connolly, one of my business partners. Which facets of your personality does this industry appeal to and why? I love the fact that it’s completely different every day. Nights that you think will be slow turn out to be busy and vice-versa – the unpredictability and excitement that comes from working in this industry really appeals to me. Plus I love being the facilitator of good times. Describe the ethos behind all of your bars and how, in your opinion, you have managed to fulfil your own brief. Like the Red Room Bar I wanted to have a culinary approach to cocktails. No-one was really doing it in New York apart from Dale DeGroff at the Rainbow Room and Milk & Honey but Milk wasn’t particularly well known back then. I started doing seasonal menus at C3, the bar I was managing at the time and writers started to write about me and my approach to cocktals. Before I knew it I was on the front page of the New York Times, so I built on that. I guess you could say my initial success was down to supply and demand. 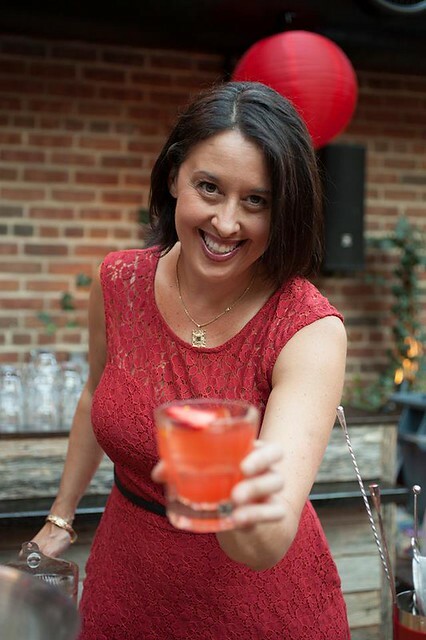 Has being a female in the drinks industry helped or hindered you in your career? Honestly, it’s helped more than hindered. 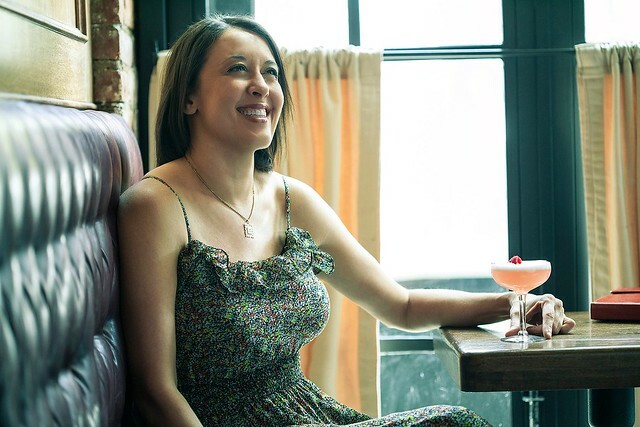 I’ve always worked with a lot of women, from the Red Room to some of the partners in my bars. Although being a female in the industry has never bothered me personally, it’s definitely been the topic of conversation because of being a minority. 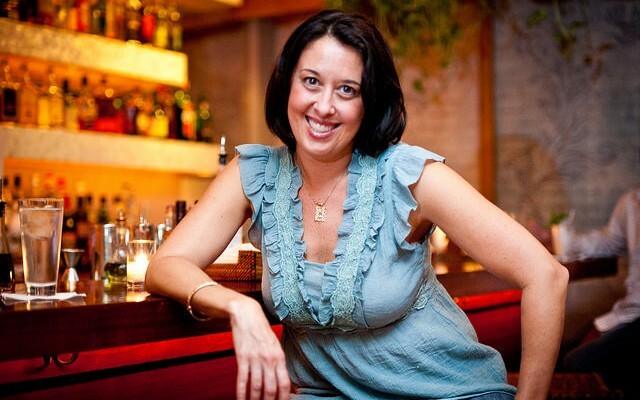 Of your many accolades, both as a bartender and bar owner, which are you proudest of and why? Definitely the Best Mentor award at the Spirited Awards at Tales of the Cocktails last year. It felt very special people to be honoured for being a mentor to all of the talent who have gone on to open their bars and run consultancies – that was something very personal. How quickly it has grown. Also bar tending is regarded as a respectable profession now. 10 years ago people used to ask, ‘yes but what do you really want to do?’ when you told them you were a bartender – they don’t anymore. Consumers have become seriously educated from reading books and magazines – they know what they want which forces bartenders to be on the top of their game. These days it’s hard for bartenders to fake it. What changes would you still like to see in the coming years? Women are believed to be nurturing and hospitable by their nature so why, in your opinion, are we not seeing more of them working behind the bar? There are aspects of the bar industry that can be very aggressive, not so much in the US where women behind, managing and owning bars is more commonplace but in the rest of the world, London in particular – it can be like playing a game of soccer. You’ve got to be a certain kind of woman to be able to take that on and play their game. It takes chutzpah. What is the difference between a good bartender and a good bar owner and has this changed over the years? That’s what my So you want to open your own bar? talk at Tales of the Cocktail this year was about – it was part of a seminar where I was among the bar luminaries reading an imaginary letter to a young bartender. So many people think that making great cocktails is all it takes to own a bar but that’s only 10% of the big picture. I was saying put down your bar spoon and take a business course, do you know what P&L is? Have you ever managed the floor of a busy bar? A lot of people fail because they don’t know these basic things. The seminar was a reality check. What has been your biggest mistake during your years in the business and more importantly, what did you learn from it? Some of the business partnerships I’ve entered in to. It’s easy to get taken advantage of when you’re the talent and you’re dealing with the people with the money. There were certain things I didn’t look into as much as I should, which is why I did the So you want to open your own bar? talk. Knowing what you know now and having put in all of the hard work that you have over the years, would you prefer to be starting out now or then? Definitely then, there’s so much competition now. My timing was great, I was the first person to do lots of things like the craft cocktails and the training of particular people; people can come along and do it after, or do it better but I did it first and no-one can take that away from me. Which bars and bartenders should we be looking out for? There are so many to watch out for but at the top of my head I’ll say Thomas Waugh who worked with me at Clover Club and was nominated for Best New Bartender at Tales of the Cocktail this year. Also Sean Kenyon from Denver, another nominee for Best New Bartender at Tales. 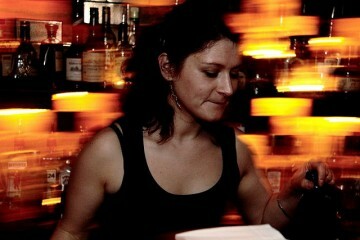 Caitlin Laman from Trick Dog in San Francisco who has just won Speed Rack US is also phenomenal. As for bars, I love the new bar at the NoMad which won Best American Restaurant Bar, again at Tales, They’ve spent $6million or something crazy on it, it’s a total game changer. What are your big plans for the next 12 months? I’ve just finished writing my book Craft Cocktail Party about craft cocktails to make at home which will be published next spring that’s definitely the big thing.